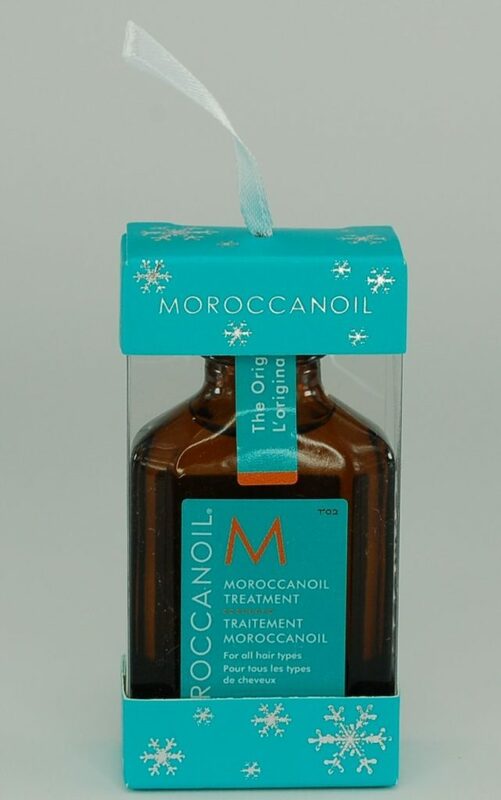 Special Edition Christmas Tree Decoration by MoroccanOil. Get the silky, shiny and healthy hair you’ve always wanted. A styling, finishing and conditioning product for all hair types. It has an ultra-light formula which is absorbed by the hair instantly. Moroccanoil Treatment has the ability to restore over-processed hair. It helps to repair damage hair . Key Ingredients:Argan Oil: Rich in fatty acids and antioxidants that help restore elasticity, smoothness and manageability to hair. Linseed Extract: Derived from flaxseed, a good source of alpha linolenic acid – also an essential fatty acid that helps improve the health of hair.